VICTORIA – The public engagement process aimed at gathering feedback towards revitalization of the 45-year-old Agricultural Land Reserve kicked off in early February with meetings in Richmond and Nanaimo. But not everyone was welcome at the meetings organized by the nine-member committee charged with conducting the review. The invitation-only events were strictly for representatives from farm organizations and local governments. Dates, times and locations of the meetings are not advertised. 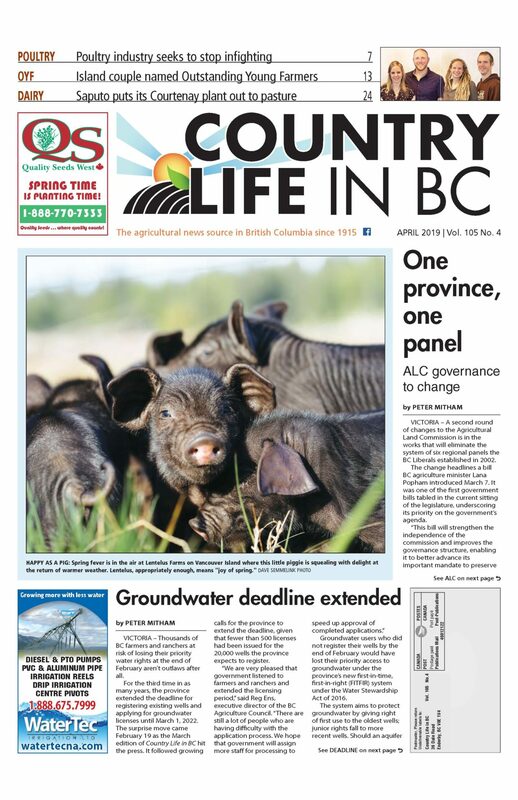 “We have a list of every local government in the province and every farm organization that we are aware of – every farmers’ institute, you name it – everybody’s getting an invitation,” committee chair Jennifer Dyson told Country Life in BC. Well, not quite everyone. Groups with an interest in farming but not linked to production agriculture are excluded. “We’ve had some groups that are food security groups, and we think food security is great, but they’re not necessarily the stakeholder that we’re meeting with,” Dyson says. Nevertheless, the BC Food Systems Network, which “works to create healthy, just and sustainable food systems” presented. The general public, meanwhile, are welcome to comment via the online survey set up to garner feedback, or a written submission. “We’ve had a lot of MLAs wanting to attend and we’ve said, ‘Thank you for your interest, but this is a stakeholder meeting,’” Dyson says. That’s not sitting well with Opposition agriculture critic Ian Paton, the BC Liberal MLA for Delta South, who previously criticized the lack of representation from commercial farmers on the review committee. The inability of the general farm population, let alone farm landowners, to address the committee directly concerns him. 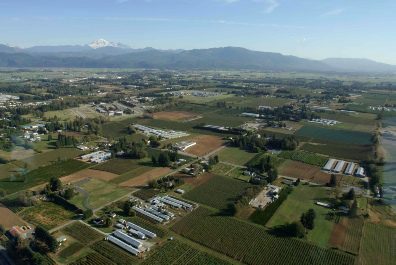 During consultations for the BC Agriculture Plan in 2006, open houses were held across the province that attracted a broad spectrum of speakers. Similarly, when Popham led the Opposition Standing Committee for Agriculture and Food on a tour of the province in 2015, she said it was an opportunity for farmers to give feedback that government might not always want to hear. Paton says the limitations on who can meet with the current committee suggest that the government has made up its mind on issues such as whether or not to return to a single-zone ALR. However, Popham says that the committee has full independence and made the call on how to structure the engagement process itself. Dyson agrees, noting that participation in the stakeholder meetings and online has been positive. The leading concerns in the feedback received till mid-February were house size on farm properties, and cannabis production. Many local government representatives also pointed to the challenge a general ignorance of agriculture poses. She expects a diversity of opinions as the committee moves across the province, especially given the lack of consensus farm organizations are voicing regarding the ALR. “There’s no unanimity around the farm organizations themselves in terms of what we hear. It’s just all over the map,” she says, noting that local governments have been more uniform in their concerns and advocacy for agriculture. Stakeholder meetings are scheduled for dates through March 14, with further dates to be set. Participation in the online survey and written submissions will be accepted through April 30 at 4 pm. For more details, visit [https://engage.gov.bc.ca/agriculturallandreserve/ways-to-participate]. The review committee’s report and recommendations to government will be delivered in fall 2018.